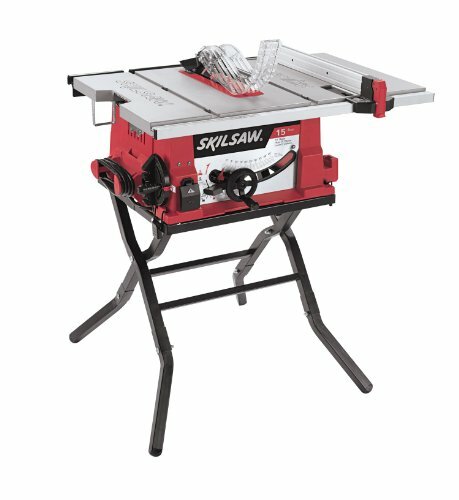 For this post, I have put together a collection of the best table saws currently available. A table saw is a woodworking tool, consisting of a circular saw blade, mounted on an arbor, that is driven by an electric motor (either directly, by belt, or by gears). The blade protrudes through the surface of a table, which provides support for the material, usually wood, being cut. The depth of the cut is varied by moving the blade up and down. The higher the blade protrudes above the table, the deeper the cut that is made in the material. The angle of cut is controlled by adjusting the angle of blade. 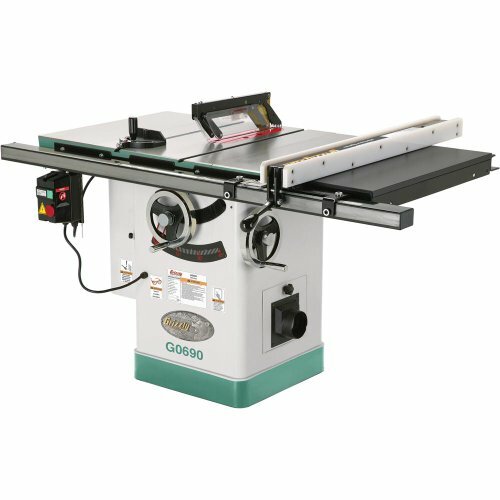 The following best table saws use the latest innovative components to meet your needs and help to ensure you do your best work. Ideal for both craftsmen and hobbyists, the SawStop 1.75 horsepower Professional Cabinet Saw delivers the performance you need with the peace of mind only SawStop's patented safety system can provide. The safety system detects when someone accidentally contacts the spinning saw blade, and then stops the blade in milliseconds — resulting in just a nick on a SawStop saw instead of the devastating injury. Provides 99 percent dust collection both above and below the table. Comes with a 36-inch T-Glide fence system for added strength and increased precision as well as rails and extension table. Riving knife that minimizes kickback and provides protection during non-through cuts. Left-tilting blade that helps prevent wood from binding against the fence. 110-volt power requirement, making it great for the home shop as it delivers the convenience of plugging in anywhere. This Deluxe XACTASAW has a quick-release riving knife and integrated arbor lock that's more efficient and keeps the operator safe. This Deluxe XACTASAW model offers an upgraded Poly-V belt drive system for smooth operation and optimal power transfer, plus a fully shrouded blade for highly efficient dust collection. The 26in. x 30in. wings and deeper table provide even more cast iron to work on. A built-in storage drawer sealed from the cabinet keeps accessories within easy reach. Standard 11in. left and right cast iron extension wings provide the largest table surface in its class. Rail-mounted magnetic switch is easy to reach and provides overload protection. Deluxe miter gauge with adjustable positive stops and large soft grip handles provides large crosscutting capacity and accurate miters. Heavy-duty chrome-plated handwheels contribute to smooth trunnion/arbor movement. Precision ground high luster cast iron table tops with front edge bevel for hassle-free workpiece positioning. 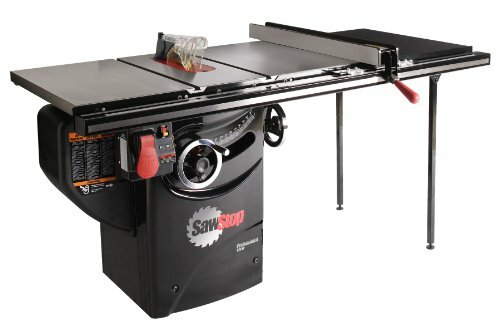 Destined to be the gold standard for 10 foot left tilting Cabinet Table Saws, this saw will be the focal point in any shop. Heavy-duty cast iron trunnions, precision-ground cast iron table with miter gauge T-slots. 3 HP Leeson motor and triple belt drive to its massive cast iron table and wings. Camlock T-fence with HDPE face. heavy cast handwheels, magnetic switch. T-slot miter gauge and 4 foot dust collection port. Quick release for changing guard/riving knife. Includes standard and dado table inserts. The DEWALT versatile 10-Inch Jobsite Table Saw features the Site-Pro Modular Guarding System for application-specific setups that result in quick, accurate cuts. It pairs a portable design with a powerful 15 amp motor and large 20-inch rip capacity. 10-inch blade spins at a no-load speed of 3,850 rpm for quick, clean cuts--no matter what the application. Exclusive fence configuration enables a huge 20-inch rip capacity. Rack and pinion fence rails make fence adjustments fast, smooth, and accurate. The fence's telescoping design allows the rails to move out to 20 inches to rip full sheets of materials or be retracted for a compact design that's easy to transport. Table surface is coated to reduce friction for improved cut quality across the board. Metal roll cage base provides a sturdy setup and improved durability when compared with plastic bases. A handy 2-1/2-inch dust collection port allows you to connect the saw to a Shop-Vac for efficient dust extraction and a cleaner work area. The Smart Guard System is the first ever quick and easy-to-use modular blade guard, anti-kickback pawls and riving knife system. Provides superior control over the material and maximum visibility while cutting. Engineered for maximum trueness, the 'Squarelock' Rip Fence glides along the rail at a finger's touch or locks into place for solid and consistent cutting performance. Easy set up and take down of your table saw; heavy-duty construction and 8" pneumatic wheels allow the Gravity-Rise stand to handle the toughest jobsites. Integrated Sub-base increases tool life by handling jobsite abuse, while protecting the table saw's base. Built-in sub-base and tabletop carry handles add to the saw's portability from jobsite to jobsite. On tool storage for all saw attachments and tools. Soft Start and 'Constant Response' Circuitry for quiet and smoother start-up, reduced start-up torque and maintaining speed under load. Exclusive Arbor Lock for single wrench blade changes. The 3410 SKIL Table Saw is ideal for DIY woodworkers looking to tackle bigger projects in and around the house. 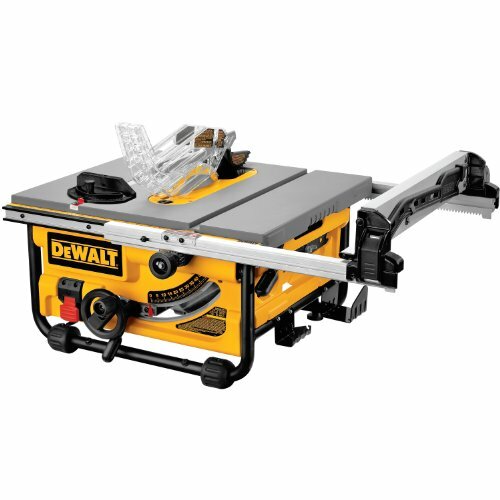 Rip long boards to width, cross cut smaller pieces, miter or bevel – this powerful table saw features 3-1/2-inch cut height capacity to slice through 4X the material. The 20 x 26-inch cast aluminum table supports your work, and the self-aligning rip fence. 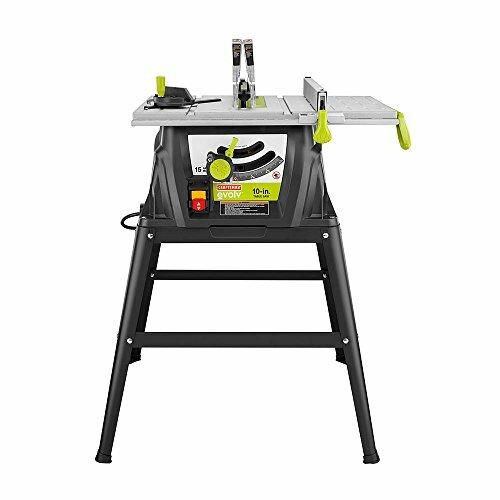 The 3410 Table Saw sets up fast with the Quick-Mount system on a heavy-duty steel stand. A 15 amp motor is perfect for ripping through all varieties of wood. Includes a durable steel folding stand with quick-mount that makes setup quick and easy, and storage convenient. The 3-1/2-inch cut height can cut through 4x the material in one pass, providing the cutting capacity necessary for tackling various carpentry and woodworking projects. An EZ view measurement system and self-aligning rip fence ensure accurate settings and measurements. 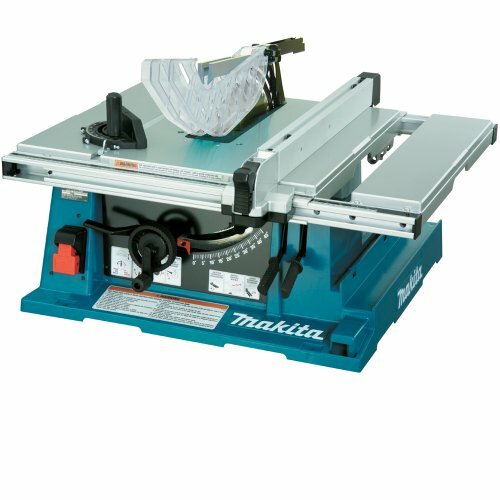 Makita's 2705 10-Inch Contractor Table Saw is a versatile and powerful table saw for use in the shop or on the jobsite. The 2705 combines a range of convenience and ease-of-use features with large capacity and 15 amp power. Riving knife/spreader adjusts to 3 different positions for through, non-through, and dado cuts. 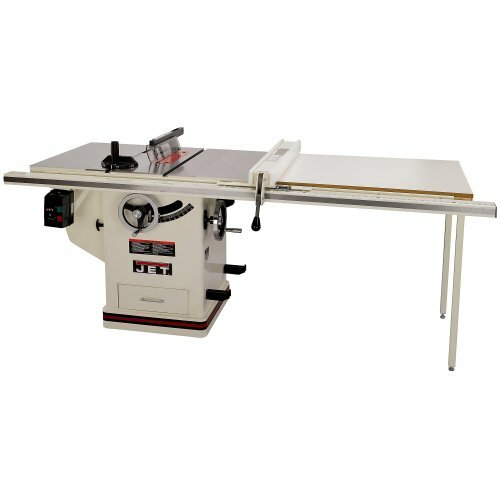 Right extension table allows for greater cutting capacity with the capability to rip 4x8 sheets of plywood. The 2705 is powered by a 15 amp motor that delivers 4,800 rpm with an electric brake for maximum productivity. Can rip 4X material in one pass and can use up to a 6 x 13/16-inch dado blade. Features a tool-less modular blade guard system with adjustable dual side guards to allow for ease of measurement from the blade to the rip fence for cutting setups. Precision adjustment features include a 3/8 x 3/4 inch T-slot miter gauge with grooves that securely support cutting material for wide crosscutting jobs. 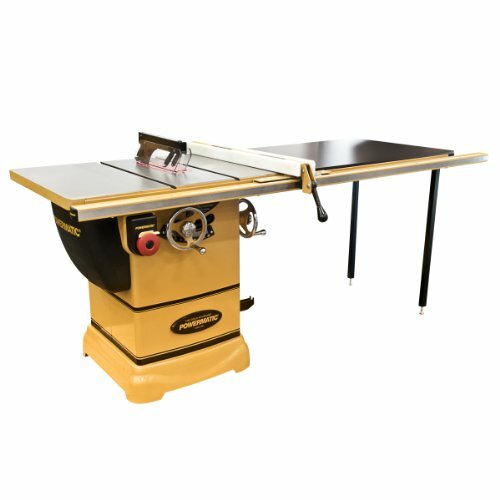 Bring some of the Gold standard home to your workshop with the Powermatic PM1000 Cabinet Table Saw. Wired for 115V usage and runs off a 1-3/4HP motor with a poly-v belt that reduces vibration and maximizes motor efficiency. Blade surround and collection hose provide an unobstructed path, maximizing dust collection. Conveniently located hands free power switch. Tool-less guard assembly with independent side leaves is easy to use, maximizing safety. The sturdy miter gauge pivots 60 degrees to either side, allowing easy adjustment for a full range of cuts. The Craftsman 10 inch table saw has a sheer table top for smooth cuts every time. Potent 15 amp motor powers through tough materials cut after cut. Easy to adjust miter gauge gives you quick, accurate control for tight bevels and corners. Advanced guarding system delivers versatility and superior blade coverage in a safe package. Upper guarding assembly installs via clamp with latching action. Spreader easily repositions to lower riving knife position via a tool-free internal cam lever (lower riving knife position for non-thru cuts only). Push button assembly makes the anti-kickback pawl easy to use and safe. Fence is quick release mounted for fast rip adjustment. Large 25" x 17" steel table top work surface support a variety of material big and small. Rack and pinion blade height control delivers smooth, accurate adjustment even on the fly. 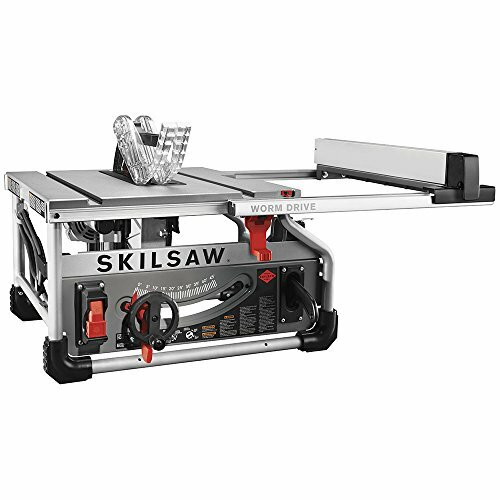 SKILSAW introduces the world's first Worm Drive table saw specifically designed for ripping. Built with Worm Drive gearing for maximum torque and power, the SPT70WT-01. Dual Field motor which provides an increase in cutting speed and a smooth startup for a saw that runs cooler and lasts longer. Large cuts can be managed more easily with the saw's ability to rip full sheets of plywood in half with a 3-1/2 in. depth of cut and 25 in. rip capacity. Durable all-steel roll cage design and a die cast aluminum top, the 49 lb. table saw stays lightweight for quick and easy jobsite setup and transportation. 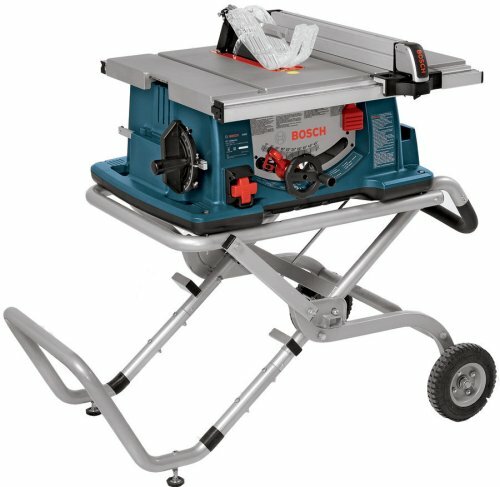 I hope this list of the best table saws was helpful.